OneDrive helps you to access your files, wherever you are. If you want to add security to this comfortable storage solution, Boxcryptor can help. Its end-to-end encryption after the zero knowledge paradigm makes sure that only you can access your data; only you, not us, not your cloud provider or any other third party. When you purchase Office 365, you get one TB of cloud storage at OneDrive for free. Add Boxcryptor for free for one of the best, most secure and cheapest cloud solutions. When you install OneDrive and Boxcryptor on your PC or Mac, Boxcryptor creates a virtual drive and automatically adds your OneDrive to it. Inside this virtual folder you can create encrypted folders and everything you store in there will be encrypted automatically and, therefore, will be perfectly safe. Encryption is on-the-fly, which means that in this drive you can work with your files as usual. Boxcryptor handles the encryption for you in the background. Can I use Boxcryptor with OneDrive for Business? 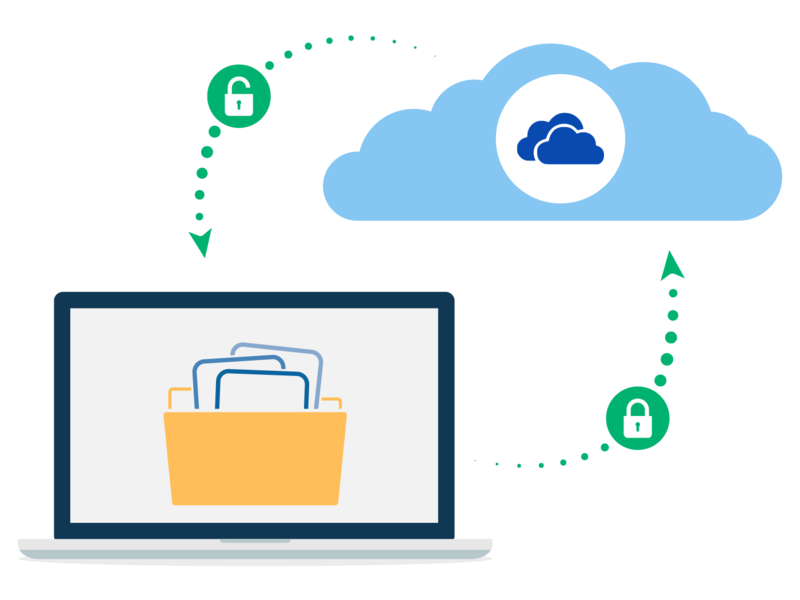 Boxcryptor works very well with OneDrive for Business and helps you to protect the sensitive data of your company, your clients and your employees. Can I still share files and folders, even with encryption? Yes of course. You can easily share securely encrypted files and folders with other Boxcryptor users. For sharing with friends who do not use Boxcryptor or a cloud, you can use our service Whisply, which is fully integrated into Boxcryptor. Does Boxcryptor work with OneDrive Files On-Demand? Yes, you can activate OneDrive Files On-Demand and still work with Boxcryptor. This way, you safe valuable disk space, since your data is only stored in the cloud per default. Even those online only files can be securely encrypted with Boxcryptor. Can I use Boxcryptor with OneDrive and Sharepoint? 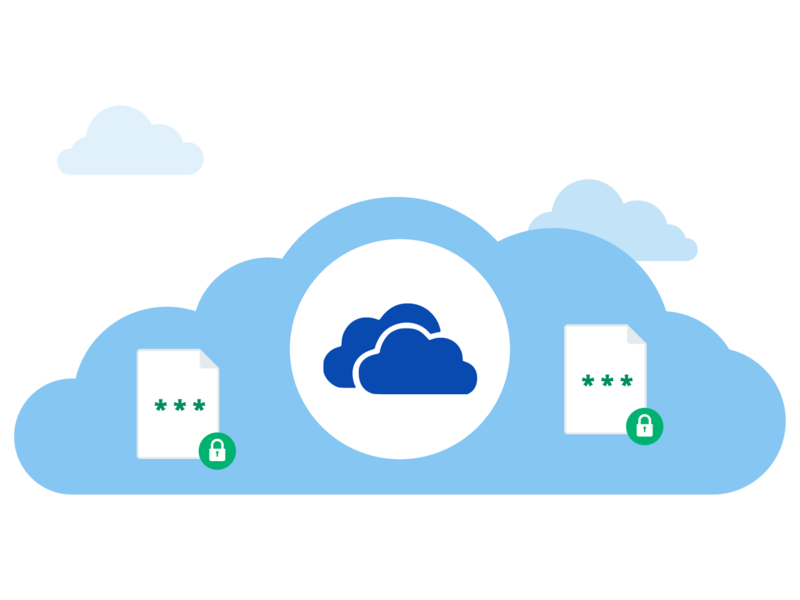 Boxcryptor works very well with OneDrive and SharePoint and helps you to protect your private data as well as sensitive business data of your company, your clients and your employees. Learn more about OneDrive, SharePoint, and Boxcryptor in our Blogpost: How to Make the Best of Microsoft OneDrive.